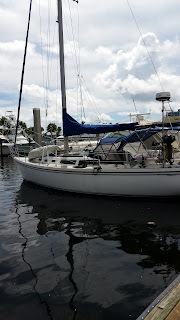 During the engine work this summer, we spent a good while cleaning the surfaces of the Engine, particularly those visible from above as those were the ones that were coated in engine grime probably spewed out of the Engine Crankcase Breather Hose. 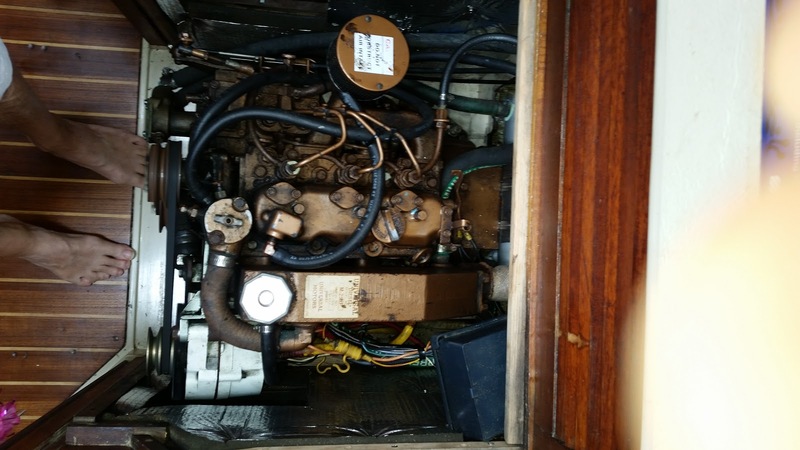 This pic of the Engine prior to the work shows where the Breather Hose is just located near to the Air Filter and some of the grot on the surfaces of the Engine. It also shows the Water heater by-pass hose that connects the coolant pump to the Thermostat housing. ie. 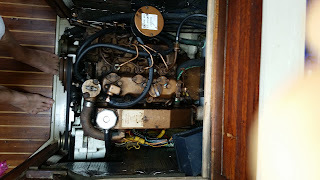 The hot water tank is not connected to the engine cooling system, so no hot water unless we are plugged into shore power. 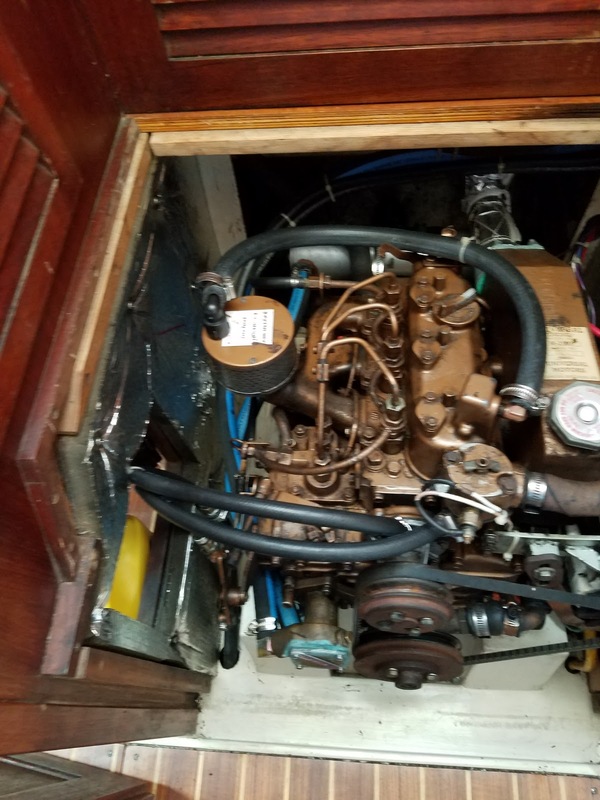 In this pic, taken after the Engine work, is shown the New Breather Hose connection to the Air Filter and the Hot Water Heater tank connections in place of the by by-pass. Today's work includes running the Engine to confirm that the Coolant system has been Burped successfully. And it's time for an Engine's Running Video.